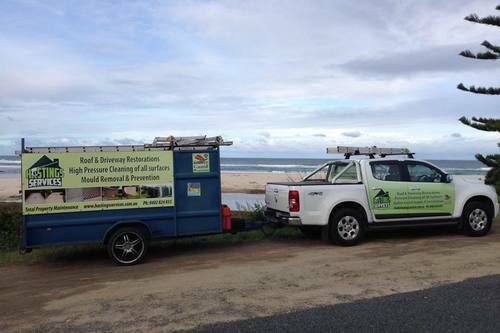 Roof Gutter Cleaning And Gutter Guard Protection Port Macquarie. Hasting Service can clean your guttering keeping it free of debris ensuring your water flows without any barriers, if leaves and debris is a constant problem. It works by attaching one end of the mesh to the front lip of the gutter, while the other end passes over the first row of tiles metal roofs, purpose manufactured clips hold the mesh down at the roof end and valleys. Don't just cover your gutters, leaves can also accumulate in your valleys. Systems that ignore valleys can cause leaves to clump at the bottom of each valley. Hasting Services provides the best protection for gutters and valleys. The advantage of the Leaf Stopper system is that not only does it protect the gutters, but it prevents leaves and pests entering the valley. Many gutter guard systems sound credible when discussing the gutter, but fail to mention how they plan to protect your valleys. It is well known that leaves will accumulate in the corner valleys of the roof and then make their way down to the gutter. Leaf Stopper prevents this from happening. 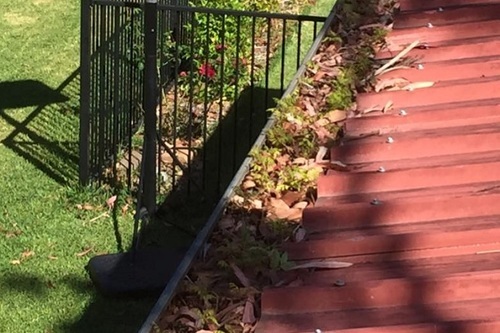 An additional benefit of Leaf Stopper is that water starts entering the gutter guard at the top of the first tile. This gives water a chance to enter the mesh and make its way to the gutter. Leaves come off. The more work that mother nature can do, the less there is for you to do. Leaves will dry over time and when the wind arrives, they have a greater chance of blowing off. It is a fact that the greater the incline, the more chance the leaves have of coming off by themselves. This is very difficult to achieve with some systems that are inserted into the gutter.